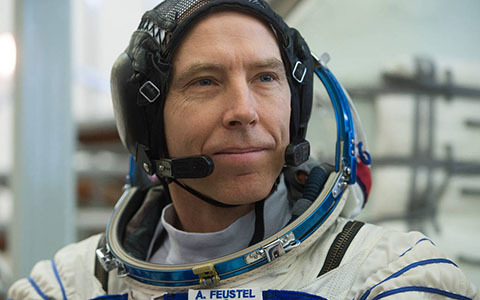 Feustel, a Purdue College of Science graduate (BS ’89, MS ’91) currently stationed aboard the ISS, will receive an honorary Doctor of Science degree via a live link to the ISS during the 7:20 p.m. Friday, May 11, ceremony in Purdue’s Elliott Hall of Music. NASA will air a portion of the commencement ceremony, including the honorary degree conferral, live on NASA TV in a broadcast beginning at approximately 7:35 p.m. at nasa.gov/live. All of Purdue’s six commencement ceremonies will be livestreamed in their entirety at kaltura.com/tiny/3d86e.